How to Start a Smog Check Business? Are you working out to start your own auto body shop and you?re looking for ways to open a smog check business legally? If you're planning to start a smog check business in your locality then here are some useful tips on how to get involved in this beneficial business venture. If you’re a car enthusiast, then starting an auto body shop or smog check business would be a good idea to earn huge money and at the same time, you are helping the community in reducing the risk of smog that vehicles emit to the environment. Your business will also help in improving the health of the citizens. 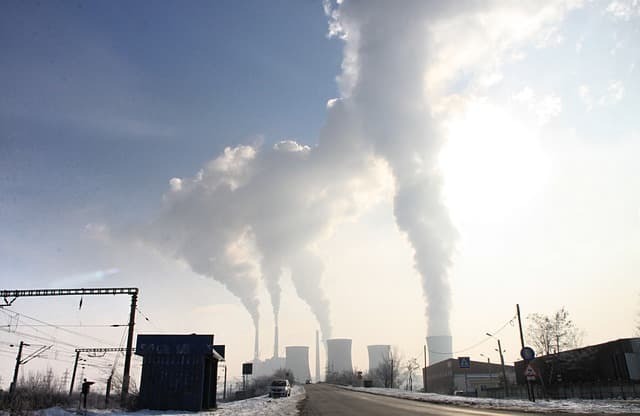 Smog is one of the main causes of air pollution and according to environmentalists, it is poisonous to the health of humans who breathe the air with smog. It is also harmful to plants because of its high level of toxicity. More studies show that smog has great effects on some materials like rubbers, textiles, and dyed fibers that reduce its strength and quality. In an industrialized state like California where there a large volume of vehicles roaming around the cities, smog has been a problem since then and this is the reason why the state has implemented strict laws in the issuance of permits and licenses on car manufacturers and auto body shops. There are current Smog Check Programs being offered by the state of California such as the Repair Assistance and Vehicle Retirement scheme to give support to motorists for the compliance of the said program. So if you’re planning to start a smog check business, in California for example, you need to follow certain processes and it takes some time for you to get a license to operate. We will give you some guides on how to start a smog check business legally. Starting a smog check business is not easy as compared to other businesses where there are certain requirements to complete and necessary equipment needed before you can get a license to operate and every state has their own standards and laws for the issuance of permits for auto body shops and smog check stations. In California alone, so you can get the licenses you are required to submit the Automotive Repair Dealer Registration or ARD from the Bureau of Automotive Repair. To complete the ARD form you need to obtain a Tax ID number issued by the California State Board of Equalization. However, some state may require you other forms to complete so for more details you must check the state government websites where you are planning to open up the business. You should decide and declare also on your application if you’re smog check station also deals with auto repairs and other services. Purchase all the vital equipment and be prepared for a series of tests and inspection on your shop. For more information, you may visit the website of the Bureau of Automotive Repair. live in roseville ca 95747. interested in starting my own biz. smog check only and need some info on start up. Interested in starting a smog station. I live in Las vegas NV but intend to move to Reno NV. Would like to start smog inspection to my Midas shop. Would it be profitable? Los Angeles resident 90047 interested in Info to start my Smog Only business. Any Info would be greatly appreciated. Thank you. I would like information on opening smog check business only. What are the requirements and how much capital to invest in that business. I'm looking forward to starting a smog only shop in Richmond CA. Any information will be appreciated thanks. I'd like to open a smog check business in Ca. I would like to know exactly what it takes to start up. The info will be much appreciated. Thanks. Opening a Smog Test Only Location is much more simple than what all of you may believe. You first need the equipment find your location, summit the license forms for DCA about $ $150-$200 then get your city license for the location another $100-$200 depending on your city, this are the steps you need to take. I open my smog business at the age of 22 years old. It takes about 3 to 4 weeks for the forms to be process and for your station to be open. what is the cost of the equipment and is it better to buy a shop already existed or to start a new one. I am interested to know about smog test only business & how to stat this business. providing any information about this will be appreciated. Thanks & regards. Peter Das. Here are more tips to assist those of you looking to open a smog test only location. After viewing the interest on my last comment, I will created a website with more information please send me questions or anything you need help with. In reply to the above questions, first I need to know the budget you are working with in order for more information to be given, as in my last comment the process is not hard. A smog test only center can make U a lot of money some where about $300 to $800 a day or even more depending on your location and will to succeed. What kind of profit does a smog business generate? @Roman garibay,Â To the first question by Roman, a smog check test and repair is a little different from a test only as more equipment is required. A test only station is require to have a smog dyno, egr teater, timing gun, evap machine tester, books for emission equipment, and a few more simple small items. A test and repair station requires more equipment and tools, please view the BAR office official website for more requirements needed, I would not by a ble to list them all, but I will on my upcoming website. Please look into the start program coming soon on 2013 or later and get more information about this program being launch by the BAR. @davib,Â A smog test only can be very profitable, it can bring you an income of $1,000 a day depending on your location and fee you will charge your costumers, but please understand that is not going to be everyday as in many other businesses it has good and slow days. You must have an understanding of marketing if U would like to save and spend money wisely. I ran my business for 5 years and I can tell you that I made a total income of $120,000 thousand a year around 12k to 15k a month. what are requirement to open up a test only station? do i need to have all 3 license? how long will school take? san diego ca. i was interested in finding out about the start program as a test only shop. What department do i contact? los angeles, ca i was interested in finding out how much money would i need starting the smog test only shop? how much rent would i pay for the local place. @thien,Â Hello there, there are not that many requirements, you will need a location, equipment, and city license. I can guide you step by step for a small fee and I can guarantee you will get your business open and a few weeks, maybe day. @rey pedregon, If you would like to know more about the star program, I will advise you to do a search on the BAR website, so I will not give you wrong information since is not in to effect yet and rules and Regulations can change at any time. @jesus gonzalez,Â the fees to open a business all depends on the location and place you would like to start, also the type of equipment you would like to start with. You will need to know what city, and the location you would like to open in. You can open a test only with a lease of $800 a month, but once again is all up to you. I will also need your help.. I'm still in school but as soon as i graduate and get my smog license i will definitely contact you. I have a question can i open smog test only with oil change i'll be doing both.. Is that possible? @Angelo,Â Yes a test only location can perform oil change, but not repairs allowed to emissions of vehicles. Hi, my partner and I are opening a smog shop soon. Doing the courses now. What equipment do you have to have to first start off and what licenses do you need for sacramento county? Any help will be great. And are you local? @Mark Andrew. This is a question for Mark Andrew. What is the name of your website? There maybe interest to communicate more with you. How much does the equipment (SMOG Test Only) cost? Does the person who will perform the SMOG Test Only need to have specific licenses? @Jay,Â I will work on my website soon thank for the interest. Please feel free to ask any question you may have and I will do my best to reply thank you. The equipment can be found by contacting smog business, ask if they know of anyone selling there equipment. @carlos,Â If you are in the smog business or car industry you need to have pass different classes. U get ur technician license city license and BAR license and your good to go. @tim,Â Community collage and a cheap ad a good way not to over pay for the school to get the license. You need to have spend few hour in the car industry collage a few months maybe 1 year. Mark please send me your web address when you have your smog station start-up guide up. I would like to open a Smog Test Only shop in San Diego California. Does the shop owner require a BAR license or just the technician performing the smog test? Santa Clara CA 95050 I am interested in doing a smog only business with minor things like oil change. What should one have in order to consider this a realistic opportunity? I have location. How can i determine cost of equipment? To own? or to Lease/rent? Interested in opening test only station in Las Vegas Nevada. I already have a location asking me to come in, but I am trying to find out how many inspections the stations around me are doing per year. The numbers, at $13.00 per car (avg fee), show I need to do at least 12-13 inspections per day to break even. Is that doable? I'm in so called and most Smog business are doing registrations also, any ideas how to start a business for smog and registration services? I looked it up online and had no luck. @Mark Andrew, I'm interested in opening a Smog shop in Riverside ca, I don't have my license yet and was wondering about hiring a licensed smog tech to help run the shop. Is this a good idea? I am looking to open a smog test only in Roseville within the next 3 month and I am willing to pay you the small fee to take me through it step by step. Please email me at johngottie155@gmail.com and let me know how we should begin this process. Thank you ahead of time! @mark andrew Can you guide me step by step to open a smog test business? I will pay you. Mark Andrew , i'm looking to open a smog test business in Las Vegas, plz let me know ,how u can help me and how much it costs. Thanks, Al. @marco,Â shop owners are not required to have a smog technician license you can just hire a technician and have ur business running..
@Miguel, shop do not need to close down to change ownership do some research. The business does not have to close to change title of owner it can still be running while the transaction is done..
@Anil P, it is a good idea to have an oil change with smog test here in California there are noire test only now all cars are being directed to a Star station a new program by the state. From my understanding most test and repair stations are now a star station if they qualified. @Amit. Good to know you are opening a business, on your question about the equipment you will need, I will first need to know what is your budget for the business. You can buy cheap equipment and make a lot of money, but you can also avoid many test with better equipment, it would be up to you, on how and what you want to start with. Hello @Mark Andrew, I am also interested in opening up a test only and need some guidance. Please email me gbath12484@hotmail.com thanks. Hey @Mark Andrew, I am ready to pay fee to guide me to setup my smog Test business .. Please provide ur contact detail to my email I'd srinu_222@yahoo.com to discuss about fee and details .. Thnx. @jeffrey r.,Â in some assistance to our current problem, I will suggest for you to get in touch with the landlord, " how, do some research" it maybe a leasing company or simply google the address with the frace " landlord of location" then simply make a proposal, and always start with a low offer, if is rejected, simply try again and increase your offer. I would not be familiar with the traffic in Las Vegas, how ever my suggestion to you and to others would be to get a month to month lease and try the location ad view if is profitable for your business. Here is one of my favorite quotes and I hope it help you " If you believe, you can achieve" be sure of yourself, and you will be on your way to running a profitable business. Hope this helps. I'm interested in smog test only business, there's one existing business that I'm looking at would like to have your advice. The yearly gross income is $300k did not disclose profit and asking about $200k, how would you think about this? Thanks. 1. What courses do I need to take to become a smog technician and be licensed. 2. I have around 13 - 15 k to begin, where can I look for the machines or any other equipment that I will need. 3. Is there anything else that I need to look into to begin this family endevor? Thanks for your very much needed guidance, God Bless. @Sandy Lee,Â I can not and will not miss guide you on this offer, any advise I give you will be beneficial too you or to others, simply be SURE of yourself to make the decision and go with it. Price is a little high but it could be a well run business and very profitable. This notes i write down are simply to help other open there smog check business. For more information please keep up to date on my website release date coming soon. Add me to the list of people that are interested in opening up a Test Only station. My budget is $20k+ to start. I would love to discuss things with you Mark Andrew. Email me if you have the time. appreciate you are helping everyone here. Hello @mark I'm planning on opening a smog shop in Ontario/Pomona. my question is do you know of a place where I could purchase the equipment to get started? @mike halisi,Â excuse the delay reply on your question to open a smog tation on Orange county. I am familiar with the city and location, there are many regulation the county itself has that can not be beneficial to you, with my information. However I can still assure you success with a marketing plan to increase your business, when you are open for business. @Juan C Rojas,Â currently there are changes in the smog check program for the reason that the Star Station recently kick in, early this year. Becoming a star station is not a difficult process. You can finance the equipment, but you would need to know what equipment brand to buy, more information can be found on my upcoming website. I will release helpful information in this site. mark, I own a star certified smog business for 7 years, I want you to be sure to let them know the issues with changes in ownership or structure from sole to partner. You cannot stay STAR with any change, The BAR requires six months of new data(can only smog non star vehicles) for six months, if you know of a way around this let me know, cus I was told any change means a new ARD and no Star Certification for six months...I wanted to take a partner but because of this, and if I want to stay STAR Cert, I cannot make any changes in name, location, or sole to partnership, corp, will lose a lot of business. tell me what you think ? @rita,Â there are ways around the problem you are currently facing. You can transfer ownership by following a strategy I have use, too have this request done, without losing the star certification. Mark, I live in Las Vegas, Nevada and am interested in how to go about getting the licenses, necessary certificates, and equipment necessary, also very interested in when you launch your web site as I look forward to reading all the advice I can to help me start this business. Mark - I live in Tustin, CA and would like to open a SMOG only shop in Northern Orange County. Can you provide me with your contact information so we can discuss details. Many thanks!! @Mark Andrew, do you have the website up yet? I wanted to get some information from you if you can contact me through email I would appreciate it. Thank you. I am interested in opening a smog check test only but i dont have any experience .how can i start? @Mike,Â Thank you for looking forward on the launch of my upcoming website, I am putting together all the strategies too resolve problem regarding "How to open and run a smog check business" in my upcoming website. I am getting it ready as it will walk people from new business owner to experience business owner in less than a few weeks with real results. thank you and is coming soon. @Alan R, Is great to know you will be opening a smog check in orange county. Advice as i walk you, and you get too view over my shoulder how to open and run a business is what we will discus in my upcoming website, and how to not have a concern about competition will be provided too. @Emilio, my site will have many great advise for people wanting to learn how to open and run a smog check business. I will also give people an option to contact me personally, and receive help to assure your success. @Jennifer,Â great job on taking the decision to open a smog check business. In my upcoming website I will walk people and guide them on ways to open a smog check business, I will include an upsale for my course to tech people and how to make real big money running a successful smog check business. @hassan,Â my upcoming website will assist individuals like yourself without knowledge to being a profitable business owner. You will learn many tactics, and aspect great results. @Mark Andrew, two things - 1) why is it that many of the Smog businesses are commanding such high goodwills here in No. Cal. Is this truly a profitable business? What is the proper way to assess the value of a established smog business. 2) what are the things to watch out for when purchasing an established smog business. Are there any loop holes or areas that sellers can hide or adjust to garner a higher sale price. Some of the income numbers seem too good to be true. Thanks! NOTE; the easiest way is to buy an existing business then transplant your STAR TEST & repair site thats in a poor location to this Great location.It won't work with a Test OnlyStation because then you can only test cars and no repair at the same location. To @Benjamin cuevas, This is not a good idea at this time due to too much involvement by state agency. They want you to set up these Test Only sites for a 6 month trial period so that they can get a FPR rating on your techs .What a test only site does is only test change of ownerships & Only registrations That don't say Star on them which is 9 out 10 are directed to go to Star Stations which basically puts you out business! They will soon be testing later model cars at Jiffy Lubes Pep Boys Parts Stores and any other big chain stores there is some big money behind this I guarantee it! Hi I will like to get some information to set up a Smog Check Station in San Diego CA.. I will like to know what type of permits do I need? Where to go to get them? I will like to know everything beneficial that would help me set up this business. Any information will help a lot. Thanks. @Mark Garcia,Â I would be more that happy to assist you in the information you are seeking to open ans run a smog check business. I am currently working on a product to assist many new beginners on the smog check business. Is there a guaranteed process to becoming star certified? In other words, if I were to open a new smog shop, I would need to smog non STAR required cars for at least 6 months. But is there a possibility that the CA bar refuses to make my shop a STAR shop even if I followed all the rules and regulations? It would be an extreme waste of time and money if I dedicate 6 months of time with low revenues and possibly operating at a loss to get rejected by the CA bar and not get STAR certified. At this point it would mean I would have to wait another 6 months before applying for star certification or selling the business and cutting my losses short. My budget is $40k and I'm looking to open a STAR certified smog shop.